Happy new year! For clarification, class resumes next Monday Jan 5th., 2015.
i.e. no class tonight (12-29-2014). Wed Dec 17th - class onMon Dec 22nd -class onWed Dec 24th - no classMon Dec 29th - not confirmed; please tell Dave or Seth if interestedWed Jan 31st - no class Mon Jan 5th- class on! 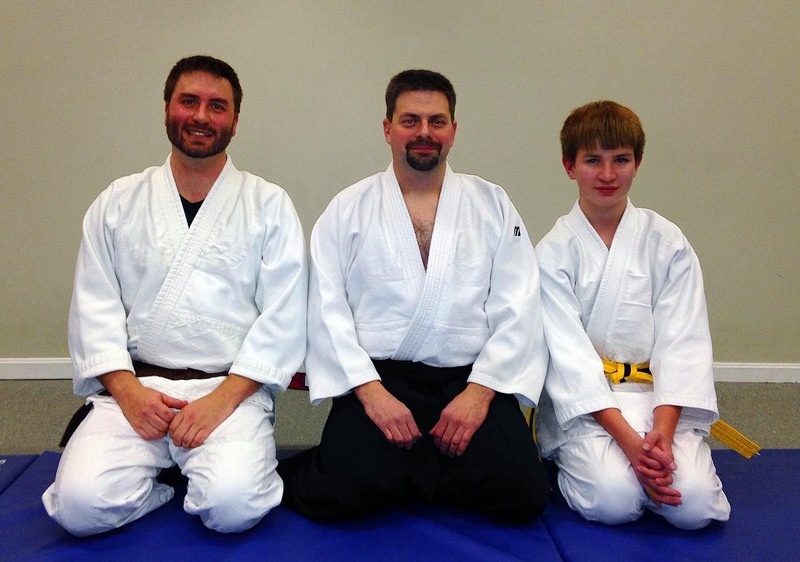 Congratulations to Connor Lindberg on passing his 5th kyu test and Seth Lindberg for passing his 2nd kyu. Seth was surprised to learn the unofficial title of brown belt is "Dan Toy". He can't wait for the next seminar now.